Wish friends and family a "Happy New Year" with New Year's greeting cards from Leanin' Tree! There’s nothing like a personalized card to let the most important people in your life you’re thinking of them! Add a name and/or photo, and ring in the New Year with exactly what YOU want to say. 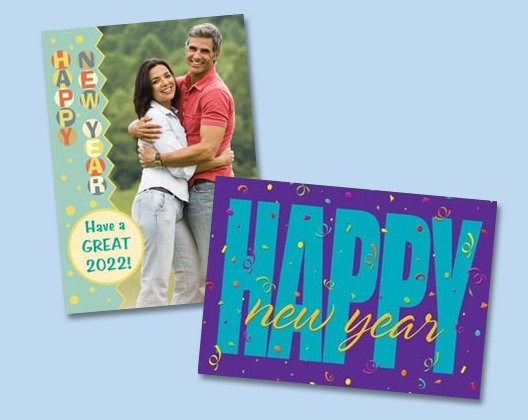 Create and send a memorable keepsake New Year’s greeting card to friends and loved ones this year. Their celebration will be all the more special with your best wishes for joy and peace in the days ahead! Looking for New Year’s Cards for clients and customers? Be sure to shop our Business New Year’s Cards.